Did you know? 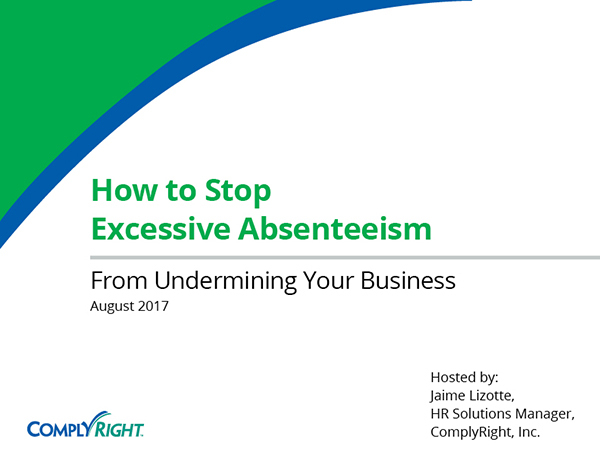 Approximately 15% of businesses have no process for tracking employee attendance. Not keeping accurate records encourages employees to work less and take unaccounted time off — simply because you permit it. What information should you include in an attendance policy? You can cover a lot of ground with a comprehensive policy, but at the very least, define late or missed work time. For example, if employees are more than 15 minutes late that is considered an official tardy. You want to cover your time-off request and approval process. Also, your policy should also detail available paid and unpaid leave (including how it’s accrued), holidays and other company leave, and the consequences for not following the rules. Make it perfectly clear that abuse will result in discipline, up to and including termination. Can I require all employees to clock in and out? Even my salaried employees? This is an interesting question. Yes, you can legally ask exempt employees to clock in and out just as you require non-exempt employees to track his/her time. But I would caution that since this isn’t a typical practice, it could have a very negative impact on morale. It sounds like there’s a trust issue here that needs to be addressed. What should be included in a PTO plan? When developing your PTO plan, you want to consider several factors. First, you need to think about accruals. Do employees get all PTO automatically on January 1st or do they earn PTO for every hour or week they work? Rollovers are another thing to consider. Can employees roll over PTO each year? If so, how much time can be rolled over? You also want to think about your part-time employees. Is PTO different for part-time employees? And finally, what happens when employment ends? Are employees paid for unused PTO? 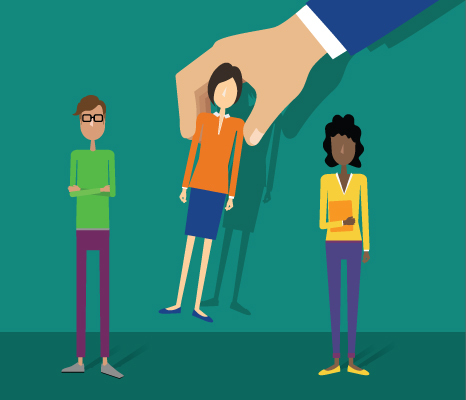 What do I do if an employee goes over his/her available PTO? At your discretion, you can provide the option of unpaid time off for employees who have used up all of his/her PTO. When granting unpaid leave, it’s important to be consistent. Also, you need to know the laws regarding exempt and non-exempt employees. For instance, you can’t dock partial-day pay from exempt or salaried employees. You can deduct PTO hours but you can’t deduct partial-day pay. Great question. What can an employer do or what are the options if a salaried or hourly employee has exceeded his/her PTO but were compensated? Do I have to pay employees when they are on jury duty? It depends. Many state and local laws require paid time off for employees serving on juries. These laws often apply to employees participating in criminal and civil trials as a witness – and voting in elections as well. It’s important that you check your local laws. Does FMLA only apply to employers with 50+ employees? At the federal level yes, but some states have specific FMLA laws that decrease the amount of employees to less than 50, so it’s important that you know your state laws to make sure you comply if you are obligated to by your state, but not federally. Does USERRA only protect employees who were previously employed with said company? Or any returned military? That is correct, USERRA only protects employees that are military returning from deployment or service, not just any military. If you have your attendance policy in your handbook and you require employees to sign that they have read the handbook, do you need any additional acknowledgements? No, the handbook acknowledgment is enough, especially if all policies are included. However, if you implement or change a policy, you should either redistribute the entire handbook and let your employees know what changed or provide them with just the new or updated policy and have them acknowledge that they have received it. The same employees fail to submit time off through our online system, how do I correct this? 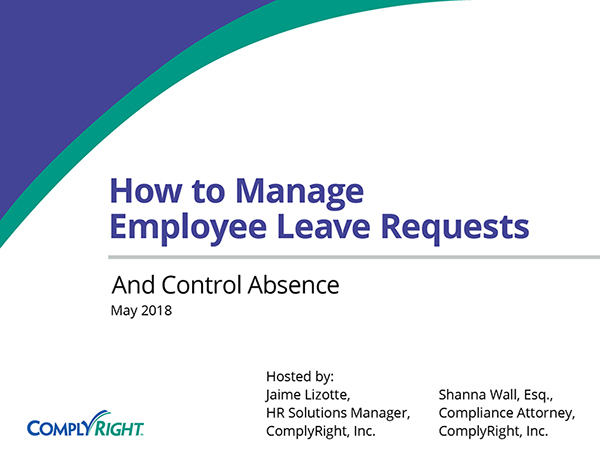 Update your policy to include the process in which they need to request time off and redistribute to all employee’s and make sure they acknowledge. If you continue to see the same employees not follow the process that has been put into the policy, then begin the progressive discipline process. Start with a verbal warning, then a written warning, a final warning and then termination if necessary.